Since Venezuela's opposition leader Juan Guaido declared himself president on January 23, it has become obvious to all intelligent onlookers that this "people-power color revolution" is not directed by Trump at all but rather by what has been exposed as the trans-national "Deep State". When we look behind the layers of false narratives obscuring the true motives behind this operation, we should not be surprised to find the ugly picture of an insecure empire trying desperately to break apart the new coalition of Russia-China-American partnership now in danger of overthrowing the script for global dictatorship that has been building up for decades. While anti-Trump neocon Elliot Abrams has been assigned to manage the ongoing coup from the American side of things, an overlooked force driving this scheme is not to be found in America itself, but is rather transatlantic, or more specifically, British-inspired operations in Canada. Two of the most active players in this operation, who we will showcase below, are Canada's Foreign Minister Chrystia Freeland and her Oxford cohort Ben Rowswell. Rowswell is not only the former Ambassador to Venezuela but current President of the Canadian International Council (aka: the Round Table Movement of Canada1). After completely crippling Russian relations with Canada for over six years, Foreign Minister Chrystia Freeland, a close friend of George Soros, has been at the forefront of every attempt to preserve the structures of the failing Anglo-American Empire, including playing a guiding role behind the regime change "direct democracy" movement now tearing apart Venezuela. In a January 24 Global News article entitled 'Canada played key role in secret talks against Venezuela's Maduro', an unnamed Canadian Government official described Freeland's role in the coup: "Playing a key role behind the scenes was Lima Group member Canada, whose Foreign Minister Chrystia Freeland spoke to Guaido the night before Maduro's swearing-in ceremony to offer her government's support should he confront the socialist leader". The quote refers of the Lima Group, a coalition of 14 Latin American nations (11 of whom endorsed the Venezuelan color revolution on January 4) which was founded in August 2017. While some wonder why Canada is a member of this coalition of Latin American nations, the fact is that Canada is not only a member, but the founder.2 The group was set up entirely to legitimize the regime change movement of Venezuela. Not only did Freeland speak with Guaido two weeks before he declared himself president, giving him the green light to begin the operations and stating that Canada would support all actions he takes against Nicolás Maduro, but she will be presiding over Lima Group's next anti-Maduro meeting in Ottawa on February 4.
International support is vital for a "democratic" regime change. While Freeland's guiding hand behind the 2017 creation of the Lima Group satisfied "principle 3", "principle 1" is a somewhat meaningless truism when it comes from an ideological social engineer, while "principle 2" remained the most difficult during the years of failed Western coups against socialist governments in Venezuela. Unifying the highly scattered and disorganized forces needed to unseat a president has always been the biggest challenge for the Deep State. In the case of Ukraine and Syria, the use of Nazis and ISIS terrorists were vital recipes for success, but the absence of similar forces in Venezuela posed a major problem which Ben Rowswell himself was assigned to manage in 2014. Prior to becoming Ambassador to Venezuela (2014-2017), Oxford-trained Rowswell worked for the U.S. National Democratic Institute (a branch of the National Endowment of Democracy) in Iraq, served as Deputy Head of Mission in Afghanistan (2009-2010) and in 2011 was visiting scholar at Stanford University's New Center on Democracy, which was then headed by regime-change expert Michael McFaul (who spent his failed tenure as Obama's Ambassador to Russia, where his sole job was to promote a "white revolution" from the American embassy). McFaul and Rowswell are outspoken disciples of "internet-tech driven direct democracy" modes of unseating "bad" governments. Rowswell himself described his greatest achievement as Canadian Ambassador to Venezuela as having united opposition forces and having advanced "direct democracy" through social media tech and embassy events. "We became one of the most vocal embassies in speaking out on human rights issues and encouraging Venezuelans to speak out," said Rowswell in an Ottawa Citizen interview in September 2017. When he left his post on July 27, 2017 he tweeted, "I don't think they (anti-Maduro forces) have anything to worry about because Minister Freeland has Venezuela way at the top of her priority list." Obviously, Rowswell never learned that Ambassadors exist to enhance relationships between countries, not to promote the overthrow of the nation hosting them. Wishing to spread his perverse notion of the purpose of "ambassadors", Rowswell stated in a 2017 interview that, "there are many people that could be effective Canadian ambassadors abroad. But not many people that had enough exposure to technology and human rights activism in the field that could combine those two and could create some dramatic new outcomes in global affairs." The reality is that we are living in history, and history is no longer being shaped by the Anglo-American script which ushered in the post-nation state "New World Order" praised by the likes of Sirs George H.W. Bush or Henry Kissinger decades ago. This new force of history is being shaped by higher nationalist aspirations, led by Russia and China who, along with other nations, have created a bond of survival centered on mutual growth, long term infrastructure investment and scientific research. New institutions needed to fund and provide stable credit for projects like the Belt and Road Initiative have been created since 2013, institutions such as the Asian Infrastructure Investment Bank, the New Silk Road Fund, the BRICS Bank and more. The behavior of these credit mechanisms stand in direct opposition to the short-term monetarist rules plaguing the Western financial system. Ironically, these new mechanisms bear a great similarity to the traditional American system of political economy represented by Lincoln's Greenbacks, which tie the value of money to the REAL economy rather than Adam Smith's "invisible hand". Already, forces representing the genuine self-interests of the United States have begun overturning Obama's 2011 banning of cooperation on space science with China, as we have seen with NASA's collaboration with the Chang'e 4 landing on the far side of the moon and former NASA administrator Charles Bolden's call for a new age of space research and exploration with Russia and China. Donald Trump's impassioned call for a Moon-Mars mission by the end of his second term is well known, as is his recognition that the Belt and Road Initiative is the way to the future. This is the new paradigm as outlined by the Schiller Institute for decades. Seething with infantile rage, the Empire has little left in its arsenal except to try with all of its might to burn the Earth rather than lose its power. Fortunately for humanity, the arsonists have lost many of their matches. The Round Table Movement launched with funds from the Rhodes Trust was created in 1902 to advance the doctrine of a new British Empire advocated by Cecil Rhodes. Simultaneously created was a scholarship fund to indoctrinate generations of technocrats in the halls of Oxford. The Round Table Movement in Canada changed its name to the Canadian Institute for International Affairs in 1928 and then renamed itself again in 2006 as the Canadian International Council. The American branch of the Round Table Movement was created in 1921 under the name "Council on Foreign Relations". Poe's story The Fall of the House of Usher (1839) should be read in full and understood as a psychological study of the oligarchical personality type represented by the pitiful aristocrat Roderick Usher. The story ends: "From that chamber, and from that mansion, I fled aghast. The storm was still abroad in all its wrath as I found myself crossing the old causeway. Suddenly there shot along the path a wild light, and I turned to see whence a gleam so unusual could have issued; for the vast house and its shadows were alone behind me. The radiance was that of the full, setting, and blood-red moon which now shone vividly through that once barely-discernible fissure of which I have before spoken as extending from the roof of the building, in a zig-zag direction, to the base. While I gazed, this fissure rapidly widened --there came a fierce breath of the whirlwind --the entire orb of the satellite burst at once upon my sight --my brain reeled as I saw the mighty walls rushing asunder --there was a long tumultuous shouting sound like the voice of a thousand waters --and the deep and dank tarn at my feet closed sullenly and silently over the fragments of the "HOUSE OF USHER." 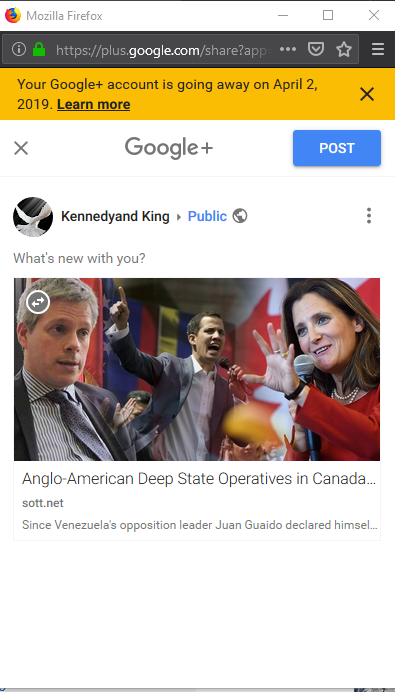 lookin2eskys You discovered all the details regarding Anglo-American deep state operatives in Canada caught steering Venezuelan coup. Those students who create assignment on democracy must read this informative blog as they can get here very useful fine points to complete their assignment. Thus, I would like to forward this article to them whom I was also serving economics assignment help -[Link] with sensible cost and remarkable work at Assignment Help Folks in Australia. Thanks a lot for great stuff. Makes me ashamed to be a Canadian. Canada allows a group of miscreants to forward their own private agenda, making Canada a running dog of imperialism. I am also ashamed of the Canadian government at this time, they are nothing more than puppets held captive by the bizarre ideology of the day and age we live in, all black and white, fresh young faces that have no clue what true diplomacy is all about. When it barks they jump and retreat, fall in line, hoping for some sliver of reward, is that any way to govern a country. Since Maduro sworn into presidency January 10th there is no constitutional way that speaker of parliament can take presidency. The President of Venezuela is elected by plurality in a single round of voting. The elections were overseen by the National Electoral Council, with poll workers drafted via a lottery of registered voters. Polling places were equipped with multiple high-tech touch-screen DRE voting machines. After the vote is cast, each machine prints out a paper ballot, or VVPAT, which is inspected by the voter and deposited in a ballot box belonging to the machine's table. The voting machines perform in a stand-alone fashion, disconnected from any network until the polls close. Voting session closure at each of the voting stations in a given polling center is determined either by the lack of further voters after the lines have emptied, or by the hour, at the discretion of the president of the voting table. The whole political problem of Venezuela is, that Venezuela is spreading over the United States's oil. 2020 - 36 million inhabitants. which caused 36 million Venezuelan citizens, is up to 24 million young, up to the age of 24, who were born in the last 25 years, who have never worked and needs for them to create new infrastructure, jobs, and a place in society. which slows the development of Venezuela's infrastructure, which can not be stopped because investments in the Venezuelan economy of China amounting to USD 70 billion and Russia to US $ 30 billion have begun the birth of domestic production that has never been in Venezuela, neither during the Spanish Latifundists,nor during fascist pro-US dictators. The truth about Venezuela: How has the country lying on 20% of the world's oil reserves living in poverty and astronomical debt? Are they telling you that the Socialist leaders of Venezuela are responsible for it? The study of Toronto University not only rebuts but reveals the real culprit! What about being connected with Venezuela and its rich underground and poverty on the surface of the country can not speak? The more oil Venezuela produced more was indebted to the US FED. All oil profits flowed to corporations connected to the Rockefeller family. But if you think that Rockefeller may be in the current crisis in Venezuela then you would be mistaken. It is much more scary. By the end of the 1960s, Venezuela was just another South American colony of American interests and rich only get rich, while the poor were still poor. But in the early 1970s there was a dramatic turnaround. The Toronto University in Canada has produced a unique study and analysis of the Venezuelan economy and deficit to date, and the data obtained reveal something incredible, utterly unreasonable exploitation of Venezuela by the United States and the US FED, and it has jumped since 1973. The study is cautiously that the authors do not get out of the university, because even in Canada they can not write a word against the FED, but the numbers and charts speak for everything. The Venezuelan economy has started extremely, but really extremely indebted that year, but at the same time it has launched a giant oil extraction. It does not make any sense. The Venezuelan debts that Caracas owe to the FED are unpaid. Guess what is the only way to reduce these debts? Well, by letting Juan Guaid's puppet government give back the land to the American miners, they will get back their licenses, cancel the decrees on nationalization, and Venezuelans will get a hamburger to keep their mouths. Oil will continue to be at ridiculously low prices to fill tanks of US cars and puppet government in Caracas will gets refinancing his debt, which means more debt with a delay of payments for as long as the government does not make problems. As soon as socialists come back to power, debts become immediately payable. And what about an ordinary Venezuelans?